Arts are alive and happening at Corban Estate Arts Centre! 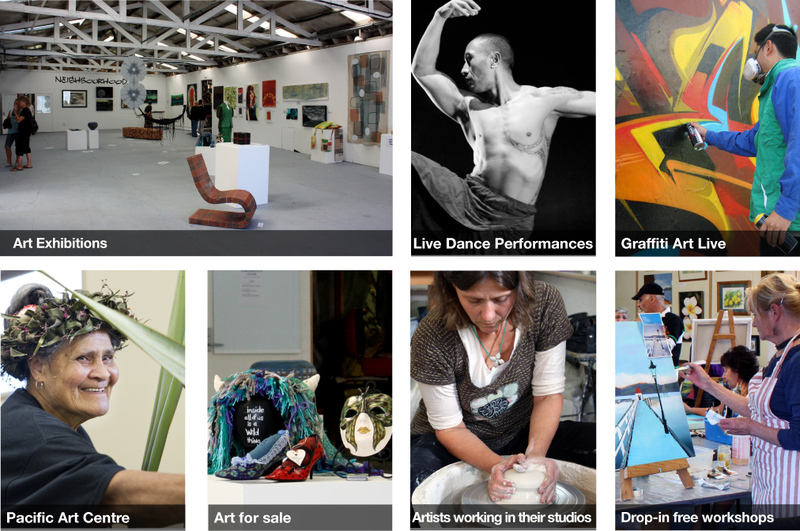 Open Studio weekend provides two days of free entertainment, exciting events and engaging activities. We have put together a full programme of activities around different arts expressions that visitors can enjoy over the weekend in one place. The programme features on-going performance presentations that include both established artists and young performers groups. Some of the performance companies that will share the stage are Atamira, a professional contemporary dance company; Phoenix, a company that uses the performing arts to teach young people through their shared stories; Mixit, a youth arts project that brings refugees together with local and migrant youth; Interacting, a disability arts theatre company that helps to develop the potential and capabilities of disabled people and Kelston Kweens, a sisterhood of like-minded Fa'afafine/Transgender and Gay performers. There will also be Flamenco music and dance. MC for the day is the vibrant and entertaining, Mema Maeli. On-site ceramic, painting, sculpture, and printmaking artists will showcase their skills and invite people to visit their studios and see their works. There will also be free drop-in workshops where people can create their own printmaking, graffiti on vinyl and junk and pre-loved books sculptures while learning different media and techniques. Arts exhibitions will be held in multiple locations including Neighbourhood group exhibition, artists’ exhibitions in the CEAC gallery, the Waitakere Central Community Arts Council members’ exhibition at Old St. Michael’s Church, and a collection of art from senior Waitakere College students. There will also be exhibitions from renowned artists such as Bro’town illustrator Maka Makatoa, award winner weaver artist Matafetu Smith, painting and dry media artist Valerie White and glass artist Susan Brogan. This weekend will also include live demonstrations from TMD (The Most Dedicated) renowned graffiti art crew and Pacific crafting the Pacifica Arts Centre. People can purchase art and craft pieces from our gallery shop or artists’ studios and enjoy organic café at Coffee Studio. We have prepared a full programme of events and activities over the weekend available on our website: www.ceac.org.nz. We would love to see you there!